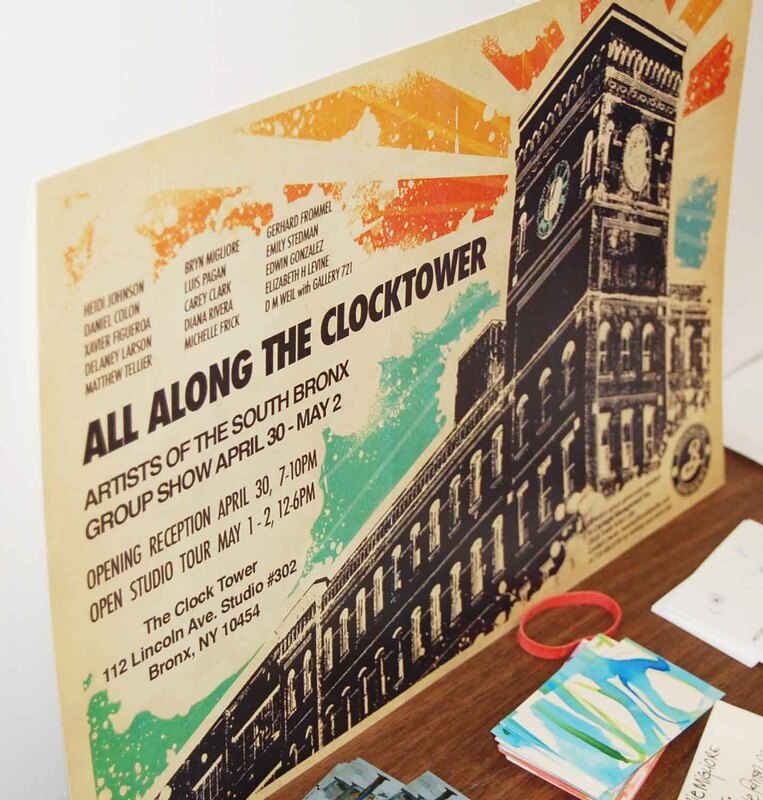 All Along the Clock Tower Art exhibition! Yesterday night, Derek (my best friend) and I went to Artichoke for the best pizza on earth and then headed over to the Frank Antonio studio so we could talk about his new clothing line, Frankie Baby. Frank Antonio and Derek Santiago’s are partners/founders of Frankie Baby. It’s a line of T’s that is bound to change the world one culture at a time. When we got to the studio we were surprised to see tons of people parlaying outside of the entrance, an art exhibition was going on. Of course we attended and I was surprised to see a few people I knew who are now residents of the building. We spent a little while there taking pictures of the art and mingled with some of the artists there and then we were off to the studio. I was coincidentally dressed for the occasion. Hell, I’m always dressed up. This was my favorite painting. Derekkk!!! I love this guy…He calls me Jasmin Von Shmedelhosen. I call him Shmenkee. I actually made a hair style out of this mess. Shmenkee had me doing poses for his work. 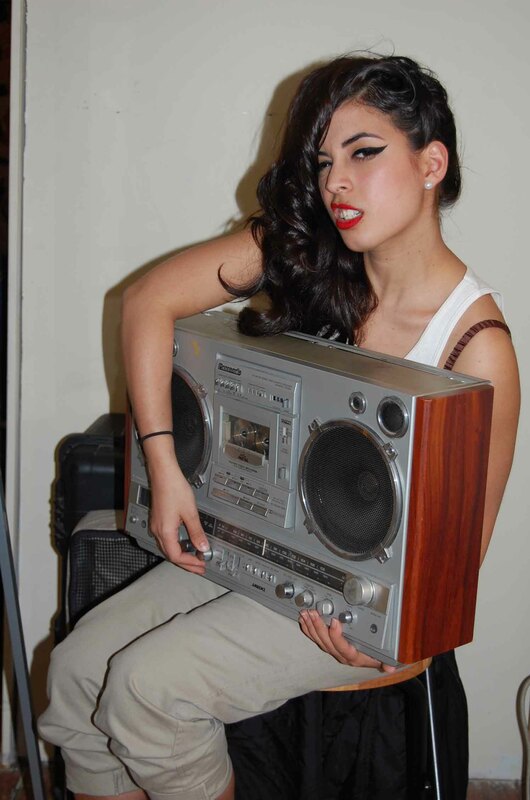 He collects boom boxes, he has so many! In great condition too! I started pinning my curls to create another type of hairstyle. It looked kinda cool! ← Zac Posen for Target! 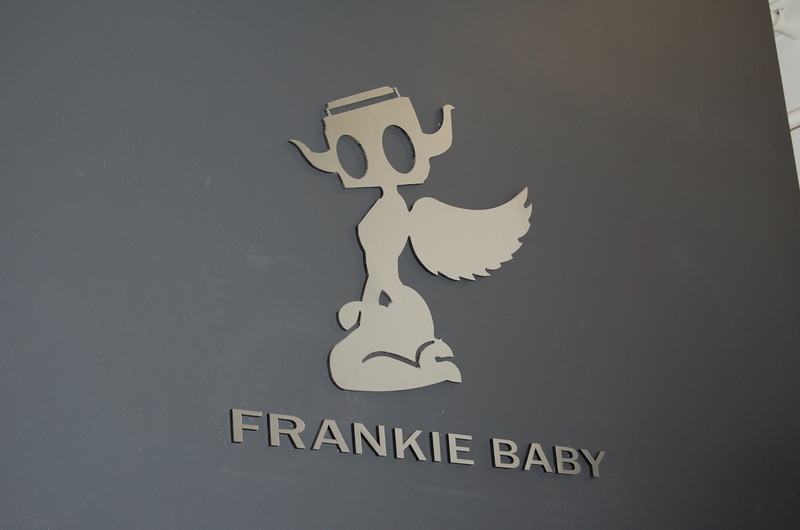 The Frankie Baby logo is awesome! Good luck to Derek! 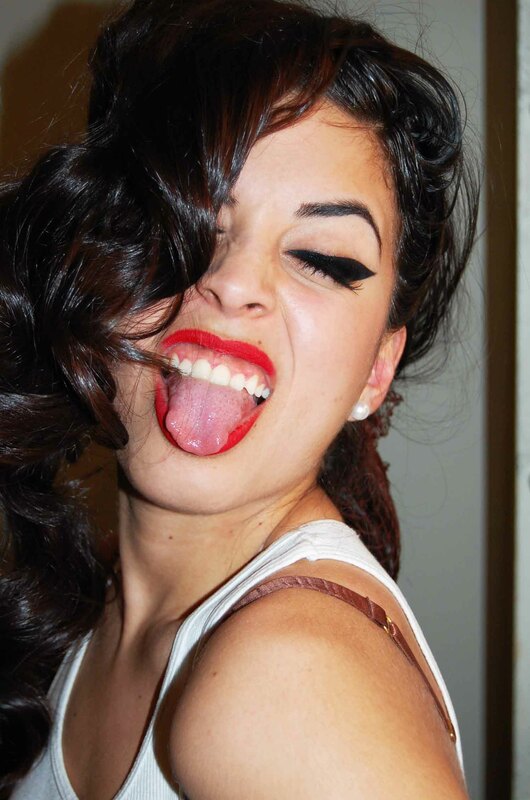 It’s amazing how every now and then we can get inspired and create good hair from hair that has been annoying us. Cute post. I always enjoy your posts when you’re with your friends. Very real. great pics. 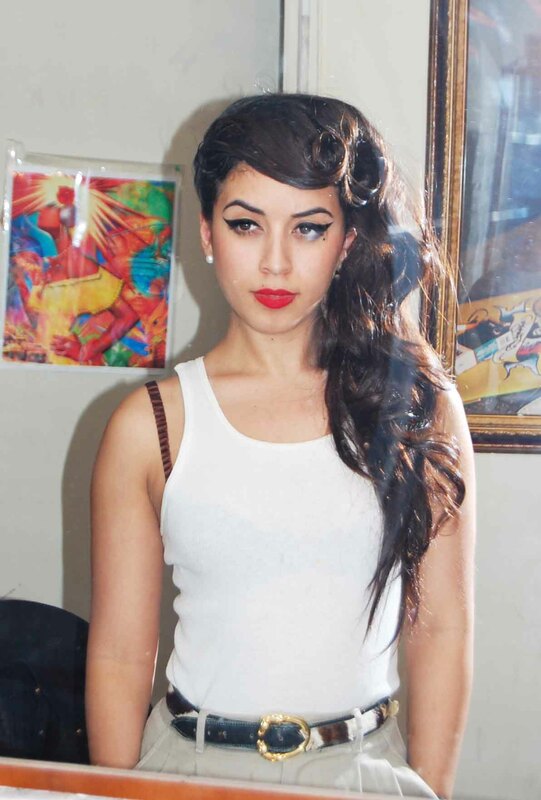 i loved the impromptu hairdo. lol. 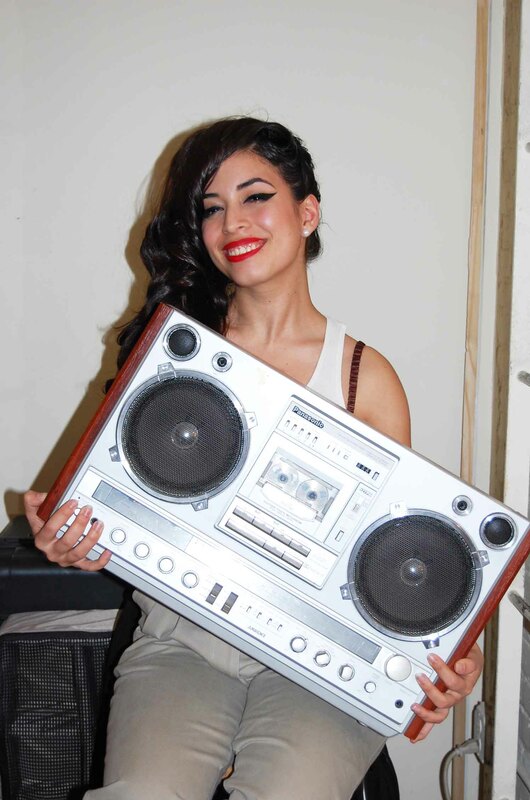 i live in mott haven, is there any way to be alerted to the next art event?? We always have fun! I ❤ you shmenkenstein!